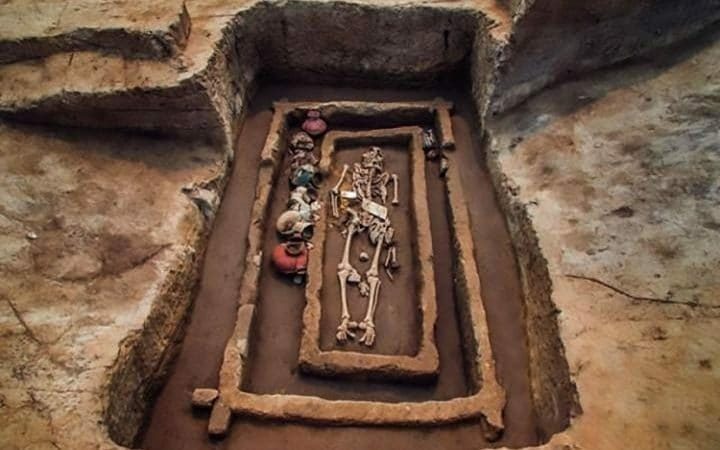 An incredible graveyard of ‘giants’ buried 5,000 years ago has been uncovered by archaeologists in eastern China. 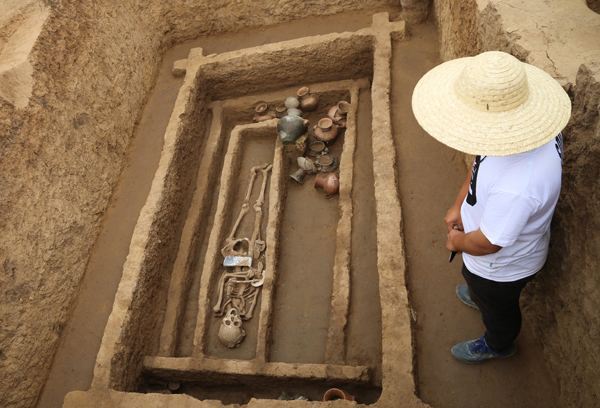 Many of the men discovered in the graveyard in Jiaojia village near Jinan City in Shandong province measured 1.8 metres (5ft 11in) tall and would have seemed like giants to the average person 5,000 years ago. 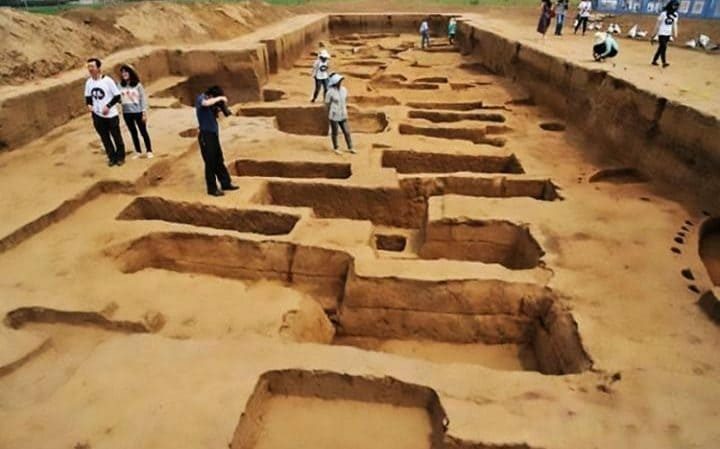 A giants’ graveyard has been uncovered in Jiaojia village, eastern China. 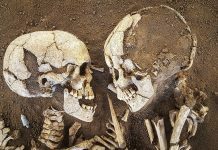 One of the men in the ancient burial ground measured 1.9 metres (6ft 3in), making him a ‘giant’ of his day. This is just based on the bone structure. If he was a living person his height would certainly exceed 1.9 metres. 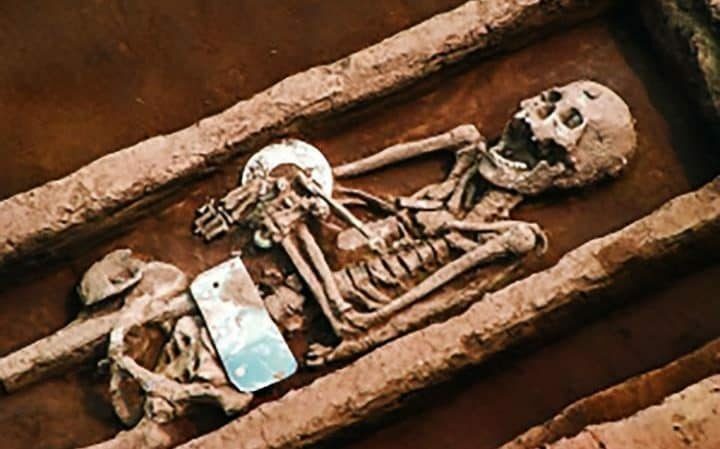 Archaeologists say their large tombs suggest they were likely considered powerful, high status individuals who had access to better food than the average person. But what made them so tall? 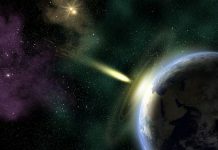 Already agricultural at that time, people had diverse and rich food resources and thus their physique changed. Today, men aged 18 living in the region have an average height of 1.753 metres (5ft 9ins), which is higher than the national average of 1.72 metres (5ft 8ins). 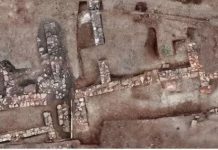 Archaeologists discovered the giants excavating the ruins of 104 houses, 205 graves and 20 sacrificial pits in the village.